I’m searching around the Condo and the Internet for ideas on what to write about for St. Patrick’s Day. I have the Scotch-Irish bloomers that I made for a show. Not historically accurate by any means, but still fun way to hide my unmentionables in case my skirt flew up during a fast and vigorous Scottish Country Dance turn during the show. I can’t believe I just showed my underwear to you people! But as the subject of a whole blog post - meh. do a recap of some the green (literal) and green (figurative) things we have around The Condo because I like to decorate with both types of green. 1. I made chew toys for Blitzkrieg’s dog cousin Chopper from scrap fabric. I’m also responsible for his festive t-shirt. 2. Blitzkrieg has he own green blanket I made from a cast off baby blanket and paw print scarves. 3. My first attempt at organic gardening! Sadly it doesn’t look this nice anymore. I replanted a couple of diseased plants and they spread pestilence throughout the garden bed . However, on the bright side, this year I get to completely redo the flower beds and make them 100% organic. 4. A green/green project. I repainted and recovered these old doctor’s office chairs that Husband had in his bachelor apartment. The chairs now sit on our front porch. 5. Organic gardening gone right. 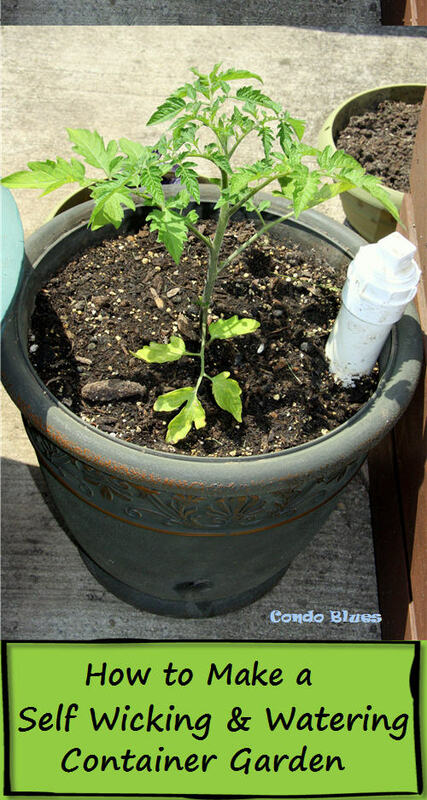 Once I figured out the nuances, I got a bunch of tomatoes from the plants growing in my upside down tomato planter . 6. Another double green project. The light fixture in my craft room I made from old stemware! 7. Don’t forget my green/green burlap rice bag turned shopping tote bag . I was so happy to find a good reuse for those old faded green curtains. 8. Something I see everyday – the green tissue paper wallpaper behind my desk in my computer room! 9. A row of green halogen desk lights on top of these bookshelves works as energy efficient overhead lighting in my computer room. Our builder didn’t install junction boxes in the ceiling of this room. This was a much easier fix. Cheaper too because I scored these sweet lights on sale at Target. 10. Lastly, Husband’s childhood Mego Hulk stands guard over the washer and dryer in the laundry room. He’s green/green too because I decorated the laundry room with what I already had. Yes, it looks like a dorm room but fun for visiting kids. Now if only I could convince those visiting kids to do a load a laundry while they’re at it…. I love it! The light fixture is absolutely brilliant! Hi friend.. Interesting post.. Nice blog work.. keep it up..
will drop by your site often.. Do find time to visit my blog and post your comments..
Have a great day.. Cheers!!! What brilliant suggestions!! Thanks for stopping by my blog today! Love your puppy pics! Love the burlap rice bag! Love everything in your green post! 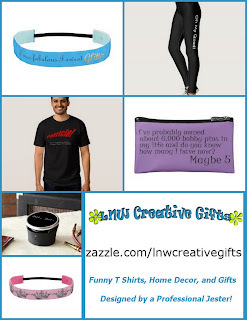 Thanks so much for your inspiring ideas and submitting your post to my craft carnival! How fun & creative!! Your dog is adorable - looks like he is posing for a picture!! Also love the burlap rice bag.